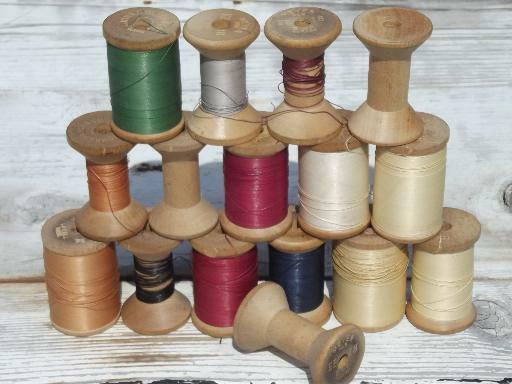 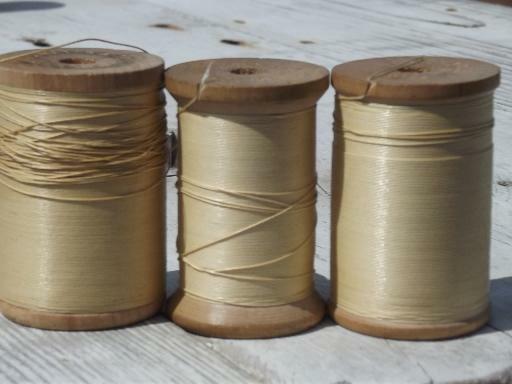 Lot of old heavy weight sewing thread - this all came out of the estate of a shoe repair shop owner. 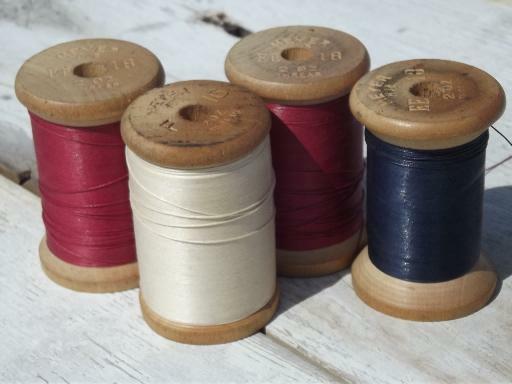 This is excellent for sewing canvas or sail cloth, leatherworking of all kinds, sewing carpets or rugs. 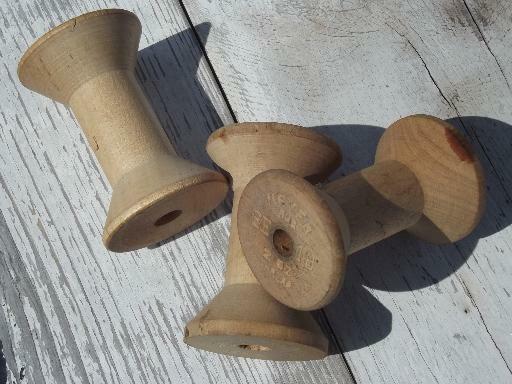 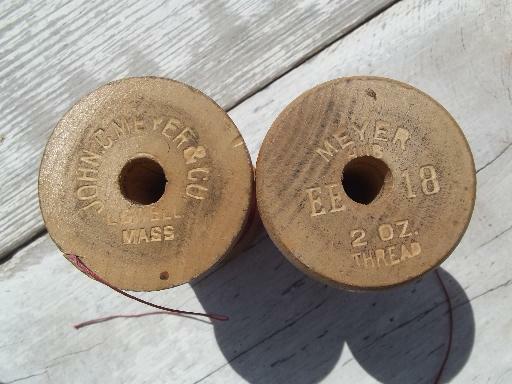 It's all glace or polished cotton, and all of the spools are marked John Meyer - Lowell Massachusetts. 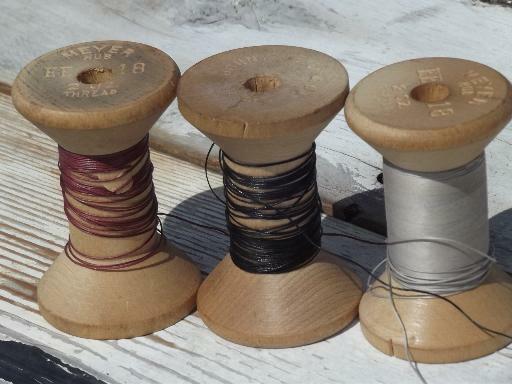 (There are a couple of empty and nearly empty spools, too - the whole lot shows in the first photo.) 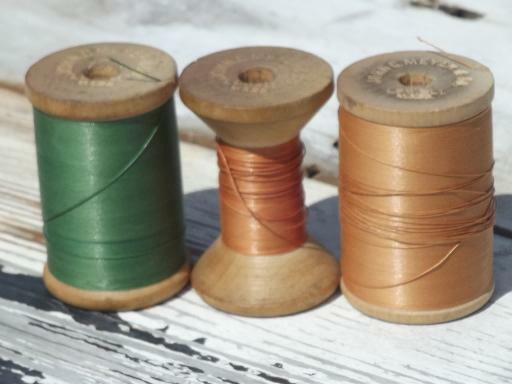 There are some hard to find colors here, burgundy wine red and a leaf green color, etc..